Will Malaysia become Southeast Asia’s clean energy leader? Malaysia has the opportunity to position itself as Southeast Asia’s clean energy and renewable industries leader. Malaysia sits at a unique crossroads. Last year’s election was a wake-up call for the powers that be, with more than 60 years of entrenched power coming to an unexpected and abrupt end. While much of our region, Australia included, slips further into the pockets of fossil fuel interests, Malaysia has the opportunity to position itself as Southeast Asia’s clean energy and renewable industries leader. The good news is, we are not in totally unchartered waters. For decades new renewable energy technologies and new policy frameworks to roll them out have been tried around the world. Distributed energy, micro hydro, off-grid and localized grids, pumped hydro storage, rooftop solar, batteries, wind, large scale solar, and energy efficiency are now the most cost-effective, accessible, and environmentally friendly means of electrification, lifting people out of poverty, and reducing emissions. Is it possible for a country rich in fossil fuels and dependent on them for revenue and energy to change direction? Is it possible for governments to stop thinking in terms of centralized mega projects — dams, mines, power stations — and embrace distributed systems? After seven years, in 2011, with the Greens in balance of power, the Australian Parliament passed the Clean Energy Package which, together with the pre-existing Renewable Energy Target of 20 percent by 2020, put in place a comprehensive framework to transform the way Australians produce and consume energy and manage the land. Central to the package was a serious price on carbon imposed through an Emissions Trading Scheme. The Renewable Energy Target made certain that there was a regulatory driver for business to take up renewable energy. In the land sector, the Carbon Farming Initiative tackled the need to reduce deforestation and degradation and to improve soil carbon. Malaysia is well-positioned to take advantage of the opportunities to transition to a renewable energy economy. 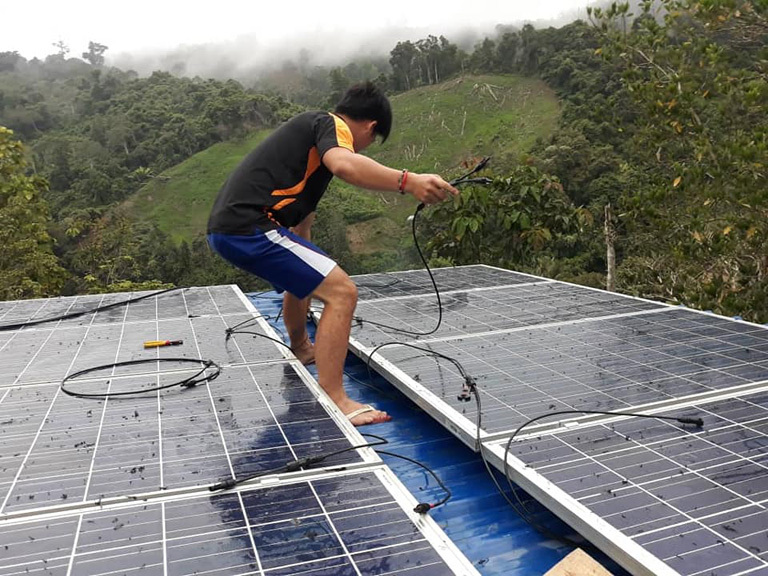 Government and non-government actors are already organizing for change, looking at how the right moves now will not only put an end to energy poverty in states like Sarawak and Sabah, but can build on the success of existing small-scale distributed energy systems that have emerged at the grassroots, spearheaded by indigenous communities. I will be joining these groups for the Clean Energy Collaboration Kuching in March to see how we can learn from indigenous land rights activists who have been working on these issues for decades. Malaysia can be a champion for our region. Where it chooses to sit on this spectrum between leader and follower in the new geopolitical relationships evolving from the transition to renewable energy is yet to be seen, but the opportunity to lead in the transformation in Southeast Asia is wide open. Christine Milne is a former Australian Senator and was leader of the parliamentary caucus of the Australian Greens from 2012 to 2015. In 2018, Christine was appointed as an Officer of the Order of Australia for domestic and global contributions to the protection and preservation of the natural environment.